Andie’s mom is dead, hit by a semi-truck in a fatal car accident. Andie’s family is broken. Her father loses his job; her sister has put off college. There’s never enough food in the house and Andie worries what might happen if the authorities find out how they are living. Could she end up in foster care? When her science partner, a nerdy boy, suggests they study the paranormal for their project, Andie is all in. What if Andie haunts her own house? Pretends it’s her mom? Might that glue her family back together again? 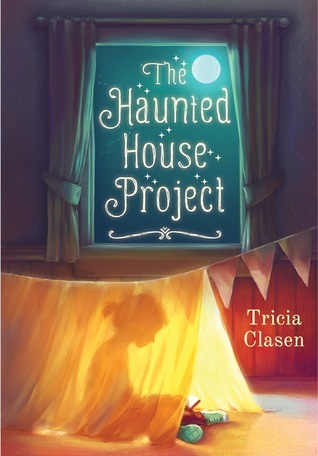 Tricia Clasen has written a poignant and riveting story about a broken family and a girl much too young but determined to heal it all on her own. When friends and the school psychologist try to help, she resists. Andie has her own plan and she is going to stick to it, no matter how ill-advised it may be. When she feels that her old friends just don’t understand her grief, she finds herself moving away from them—another kind of loss. Clasen’s writing is evocative and the prose keeps the reader turning the page at a quick pace. The author shows how painful grief can be and what it drives us to do. A young girl, trying desperately to save her family by bringing her mother back, albeit as a ghost, is both heartbreaking and believable. This is a story about a family falling apart, but ultimately putting itself back together again.